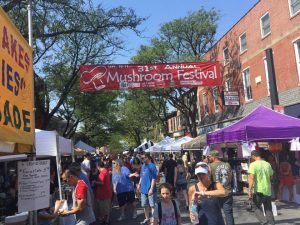 We had a great time at the Mushroom Festival this past weekend, showcasing what Kennett Square is best known for, Mushrooms! To-Jo Mushroom, along with close to a hundred thousand mushroom lovers gathered in the heart of the city for two days full of awesome food, lots of fun, interactive mushroom exhibits, and good company! Here are some of the highlights we enjoyed the most. 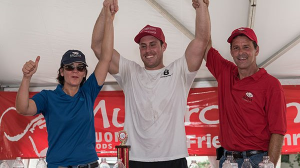 Our very own Louise D’Amico, mother of the owners of To-Jo, Tony & Joe, was this year’s Mushroom Festival Honorary Chair. 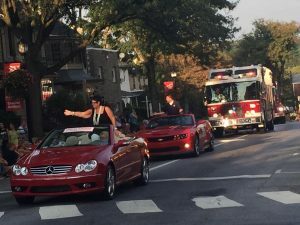 We loved seeing her cruise down the parade in that red convertible! 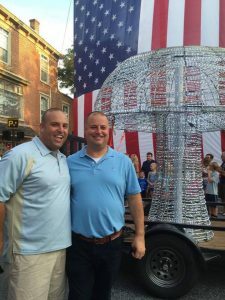 Of course Tony & Joe were there to support her, and even got a picture with the famous 500lb steal mushroom, that is dropped in the town square, every New Year’s Eve. 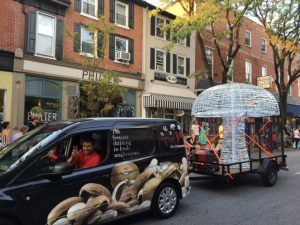 To-Jo also had the honor of hauling the 500lb mushroom in the parade procession. 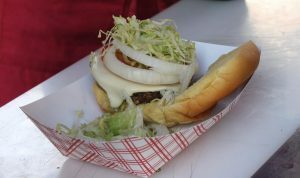 Our Food Safety Director, Richard Wright & his son did a great job showing off our To-Jo van! 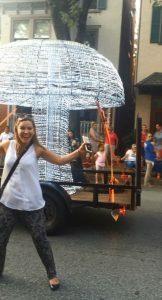 One of our newest members of the To-Jo family, Sam Snyder, enjoyed her first Mushroom Festival Parade…maybe a little too much. 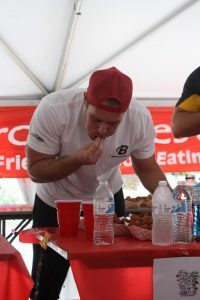 We were also able to catch some of the 5th Anuual Fried Mushroom Eating Contest. Boy was that a sight. 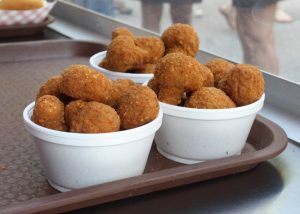 Although the record of 11 pounds in 8 minutes was still not broken from 2014, this year’s champ was able to scarf down 4 pounds of fried mushrooms! Still pretty impressive. 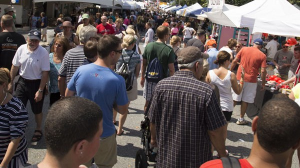 The town was packed with many great vendors and sites to see. 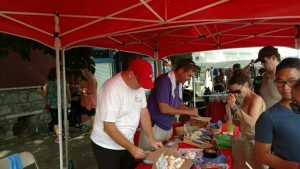 Another great year raising money for various charities. Already looking forward to 2017’s Festival. 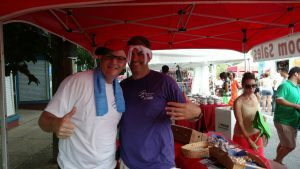 Hope you enjoyed this year’s Mushroom Festival just as much as we did!